Soon after the Google Pixel 2 and Pixel 2 XL was released, some users started complaining about a display burn-in issue that was later found to be temporary image retention. Google addressed the matter by releasing a software update which dimmed the navigation bar for a few seconds. The company later added the ability for apps to request colors for the system display navigation bar that were consistent with the light-colored navigation bar background. This helped reduce temporary image retention as it prevented differential aging of the OLED display which the static navigation bar was causing. While it has been a few months since the update, Android 8.1 Oreo, was released, only a few apps have been updated with support for the “white nav bar.” It appears that Gboard might finally be updated to add prevention for temporary image retention. 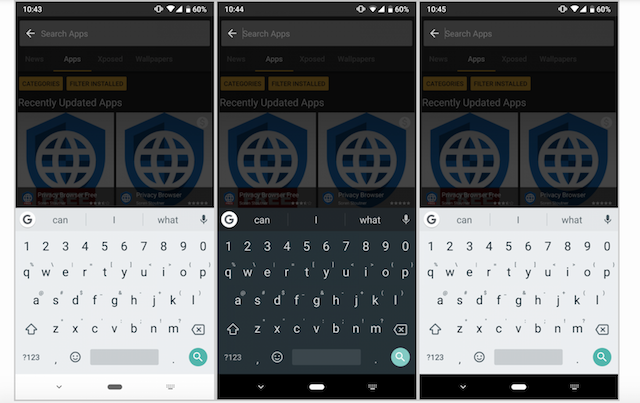 Gboard version 7.4 has now been released on the Google Play Store. XDA Recognized Developer Quinny899 discovered that the app is now testing a new feature which will display a white navigation bar when a light-colored Gboard theme is selected by the user and the standard black navigation bar when a dark-colored theme is picked. Prior to this update, Gboard would always show a black navigation bar regardless of the theme that was selected from the settings menu. The feature hasn’t been rolled out to all users just yet so it may take a while before that happens. A new automatic dark theme is also being tested for the app which will be enabled when the battery saver mode is on. 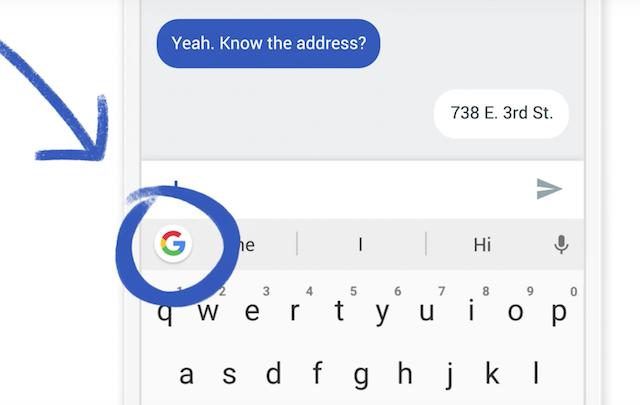 The latest version of Gboard is now available for download from the Google Play Store.